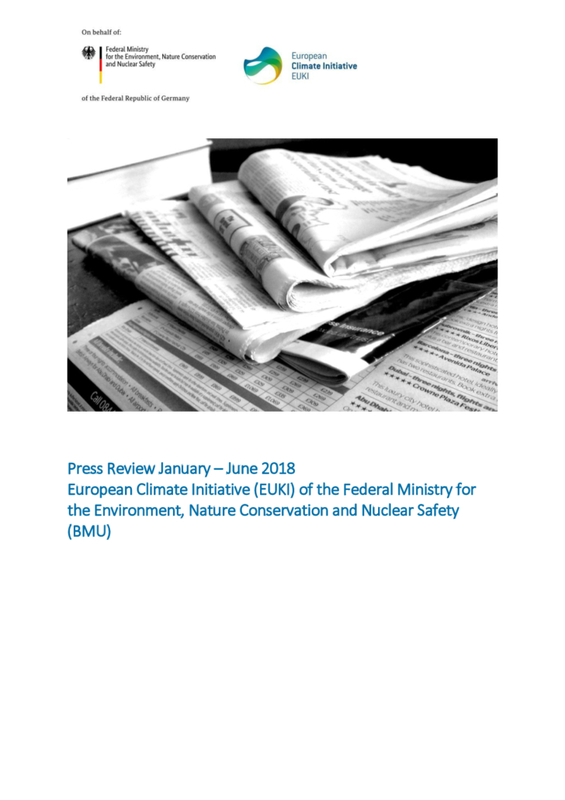 The European Climate Initiative (EUKI) regularly produces a press review, which reflects the international reporting on the financing programme of the German Federal Ministry for the Environment, Nature Conservation and Nuclear Safety (BMU) and on the work involved in the projects. The selected articles are derived from submissions by project-implementing organisations and from in-house research. The first edition covers reporting from January to June 2018.